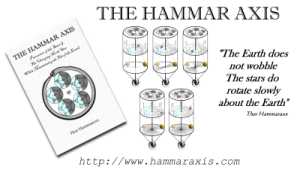 The theory of the Hammar Axis and the maintained tilt of the Earth’s axis was developed from over a decade of studying different theories and ideas by many great people in history. The modern images provide by the Hubble Telescope along with further contemplation provided the final piece of the puzzle. Back in 1999 While in discussion on an ABS Science Internet forum , Thor Hammaraxx came across a page dedicated to the Foucault’s Pendulum. Fascinated with how Léon Foucault discovered the phenomenon using a lathe, Thor researched further into the subject of the pendulum and inertia. Not long before hand, Thor had been studying the various views from different cultures and period in history about the thousands of years long “Precession of the Stars” and how the cause has been accepted as the tilt of the Earth’s Axis wobbling about. The precession of the stars subject lead Thor back to the stone structures of Stonehenge and other ancient structures that can be used to mark celestial events such as Full Moon rises, Equinoxes and Solstices. This in turn lead Thor to study the orbit and patterns of the Earth Moon relationship. During this time Thor had also been contemplating a different view of gravity than what is currently still accepted by the masses. He has since discovered the same idea is now being debated by quite a growing number of scientific minds. The idea is that gravity is not a “Pulling force” but the result or symptom of many other forces, all acting on bodies in space from all directions. This is a subject for another time, perhaps. With a healthy dose of scepticism of mainstream beliefs growing ever stronger, Thor felt he had discovered some contradictions by understanding what is “known” about 3 only slightly, if at all related subjects. The Precession of the Stars, The orbit of the Moon and it’s relationship with Earth, and the phenomena of Foucault’s Pendulum. Thor started to believe that the wobbling tilt of the Earth’s Axis could not be. He was to ponder this for over ten years. If the tilt of the axis didn’t wobble what would cause the precession? Could a second star be in a binary system with our Sun be the cause? Does it have something to do with the reported travel of our Solar System up and below the “galactic plane”? On the morning of January 20 2010 just after 6AM, he suddenly grasped the concept of the Hammar Axis. It seemed so simple, a “why hasn’t this been thought of before”. Thor started work on writing the idea out in book form right away discussing it only with close friends. 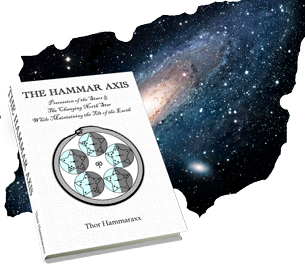 The “Hammar Axis” seemed like an obvious choice for a name based on his own and in less than 5 months he was holding the first copy of the book. it was now a public idea. 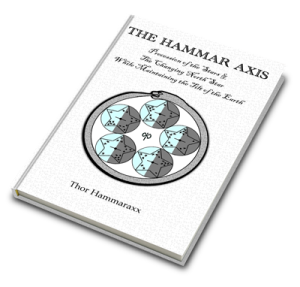 Buy a signed copy of The Hammar Axis Book.